Your wedding ceremony deserves to be special. The event venue, Alegria Gardens is here to provide the happy couple with an exceptional wedding venue and wedding reception hall. From the moment the first bridesmaid and groomsman begin walking down the aisle to the moment when the last guest leaves, every beautiful detail can be enjoyed by everyone. The area where your wedding ceremony is held has plenty of space to comfortably seat all of your guests. 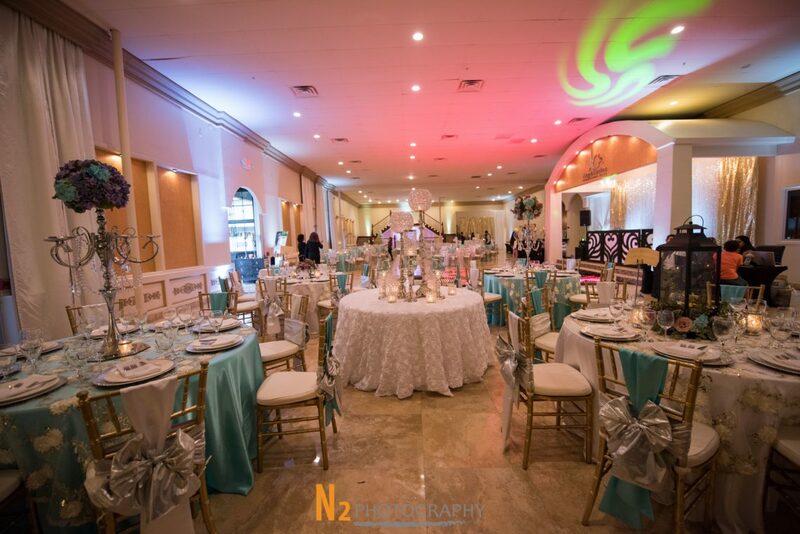 The chairs can be decorated in a variety of ways that will enhance the look and feel of your wedding. The chairs will also be accented with ribbon that matches your wedding colors. An elegant atmosphere will be created using rich colors of your choice, luxurious fabric, bright flowers, and soft lighting that will bring everything together. Often an aspect of a wedding that can make or break the day, the lighting has a soft effect but will be bright enough to allow your photographer to capture your beauty. Your walk down the aisle can be illuminated by candles in large, ornate floor lanterns, giving an angelic ambiance to the space. The aisle will also have flower petals delicately placed on either side. To bring in your wedding colors even more, the front of the room will feature colored lighting beneath the staircase. To set the mood, our ceremony packages can include a DJ that will create a playlist with your musical tastes in mind as well as your requested songs. Whatever song you choose to play while walking down the aisle or your first dance as husband and wife, our DJs will ensure that you have the day of your life. Your special day is all about the details. The perfect ceremony will have all of the details that make a wedding special and unique to you. Our event planners can work with you to design a ceremony that captures your style and vision. Check out our gallery to see what makes our event venue stand out from others in town. To learn more about wedding venue and wedding reception packages, schedule a consultation today. 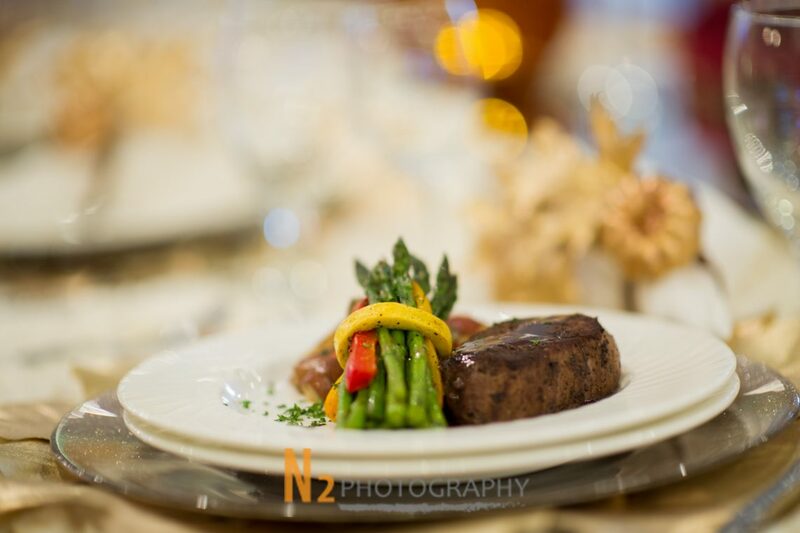 Choose from one of our caterers and surprise your guest. 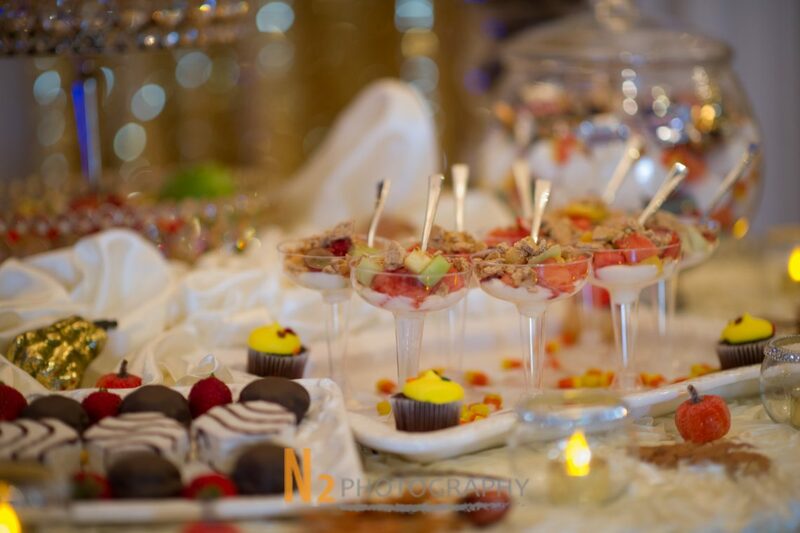 Each one of our caterers will personally customize your special menu. Our Chefs have a large variety of delicious foods. Looking into hiring your own caterer? We have different options to accommodate your event. We also have the option of providing the cake for your special day. Your cake is an important aspect and we make it easy to take that off your check list. Limo is a service that most venus do not offer but here at Alegria Gardens we include it in the package. If you have the sweets on your special day we also have a great way to satisfy it. We have an option of white or dark chocolate so when speaking to our sales team please let them know what your preferences are. We also have an margarita machine that can help make your day special. Everybody needs music, we also give you the option of having a DJ. Ask for more information when talking to our event planner.